Have a conversation with your fellow car owners for some time and one question will eventually pop up: “Where can I find a good car repair shop?” The reason that people ask this with a certain regularity is that a consistently good auto repair shop are simply hard to find, and if you can find one, then that’s definitely a load off your shoulders. It used to be that word of mouth was the only reliable way to find a car maintenance shop that can do the job right at a fair price, but today, a few mouse clicks or touchscreen taps have also become an effective way to identify a trustworthy car service provider. With that in mind, here are 11 tips on how to effectively harness virtual and real world tools to find a good car repair service near you. When a car mechanic tells you something about your car, it helps to know what he’s talking about. Thus, the first step to finding a good auto maintenance shop is to familiarize yourself with your car’s different systems and components. Know what’s there, and what’s not. You don’t want to be told that your car needs a carburetor replacement when you know your car doesn’t have one. Finding an honest mechanic is partially about keeping the mechanic honest, and knowing your vehicle can help things stay that way. How do you know you’re being charged a fair price? How long should a specific type of repair take? Unscrupulous car shops can overcharge you for fairly easy work, claiming that they did more than what’s actually been done. To prevent this from happening to you, do your research. Visit car forums and don’t hesitate to join and ask people who’ve had similar work done. Find out how long and how much your type of repair should be. This should give you a decent idea of what to expect from the repair. There’s no denying the power of word-of-mouth, so when looking for recommendations, it’s best to start with people you know directly, such as friends, family, and colleagues. Ask about their experience with different car maintenance shops, if the repairs were done in a timely manner, and if the auto mechanics were trustworthy. Reviews from people who you know personally can be extremely helpful in finding an honest and reliable auto shop. While an authorized dealership is the best option for most, you can be better served by an independent car repair service, particularly one that specializes in your make of car. Though you may have to travel some distance to find this type of automotive service provider, and though you may have to pay extra for the expertise, you’re likely to have a better, more reliable repair job done. At the expense of the added price and inconvenience, it can be all worth it. Take a peek at the shop’s work area if you can. Do the mechanics uphold cleanliness? Is the shop well lit? Are the tools stored in an organized manner? Reputable shops take pride in their appearance in both the customer and service area. Take a look at the cars being repaired. Do they look like they’ve been there for a long time? That could be a sign of a problem. A smartly operated car repair shop will not let cars for repair sit too long in their workspace. Aside from the workspace itself, check out the car shop’s lot out front. If you pass by the location frequently, observe the type of car they have parked in their location. Again, if you see it full of incompletely repaired cars for weeks, it’s best to find another car maintenance shop. Ideally, the cars out front should change regularly, as this indicates that the shop performs its repairs in a timely manner. Certifications are a clear indication of an auto shop’s dedication to professionalism and keeping updated with the latest in automotive technology. With regards to a shop’s technicians, certification shows that they have relevant training and have passed various programs on automotive functions and repairs. 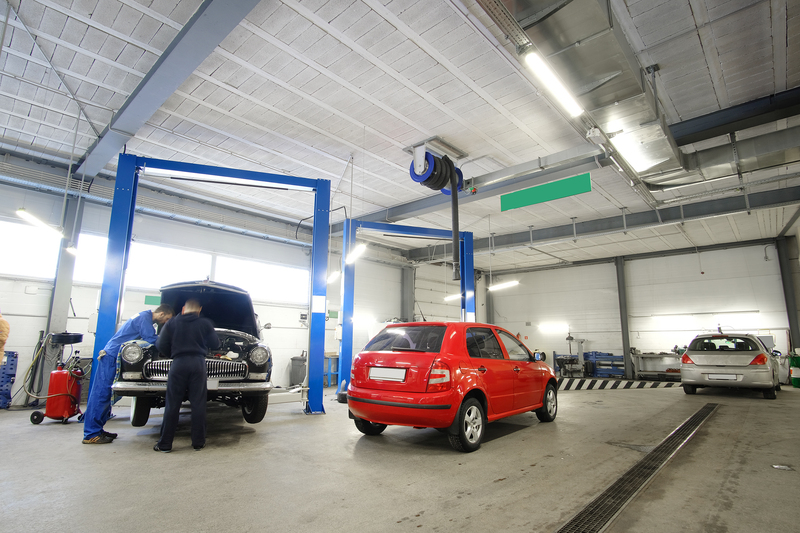 To test an automotive service center’s capabilities, start with a small job that you already know how long should take and how much should cost, such an inspection, a bulb replacement, or an oil change. If they are going to overcharge you for something as basic as these, chances are they will grossly inflate the price when the big jobs come. After you get your car back from the starter job you had them do, assess the experience. Did you have any problems dealing with their people? Was the job completed promptly? Did they charge a fair price? Is the car as clean as you brought it in, or are there smudges and grease stains in certain places? If the job turned out to be a positive experience for you, then you can start entrusting them with more serious repairs. The best automotive service shops are open to you talking to the mechanic in charge of repairing your vehicle, so don’t hesitate to ask if you can talk to the mechanics themselves. Get a feel for their personality. Have them teach you some of your vehicle’s inner workings, and let them point out to you any potential or existing problem areas. Good car maintenance shops know only to use OEM parts or better. It may be hard to judge a part’s quality at a glance, but a little research can tell you how much parts it should cost. Ask to have the packaging of the replacement parts used on your vehicle, then look them up online. This can help you ensure you’re not getting charged more than you should for repairs. What do you think about these 11 tips? Have you tried them for yourself? Let us know how they have helped you find the best car repair shop for your needs.